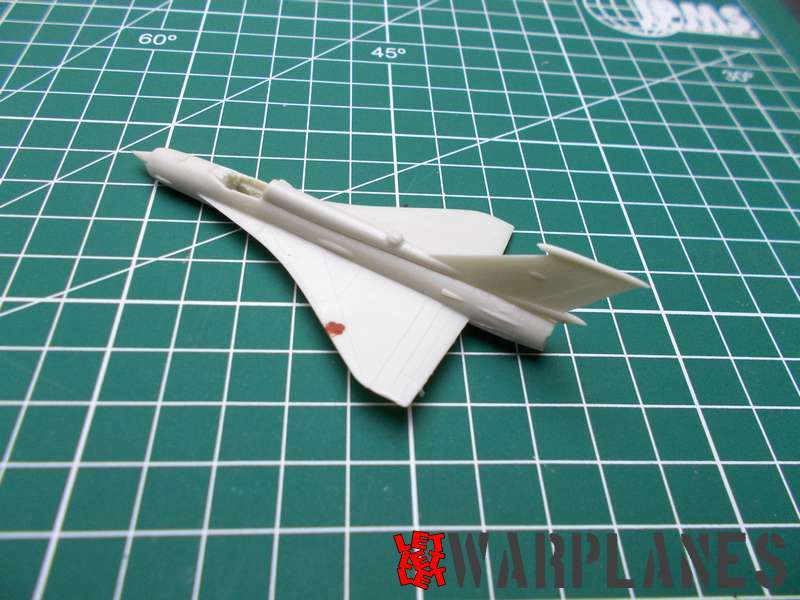 MiG-21I Analog was testbed for the wings of their future airliner Tupolev Tu-144. 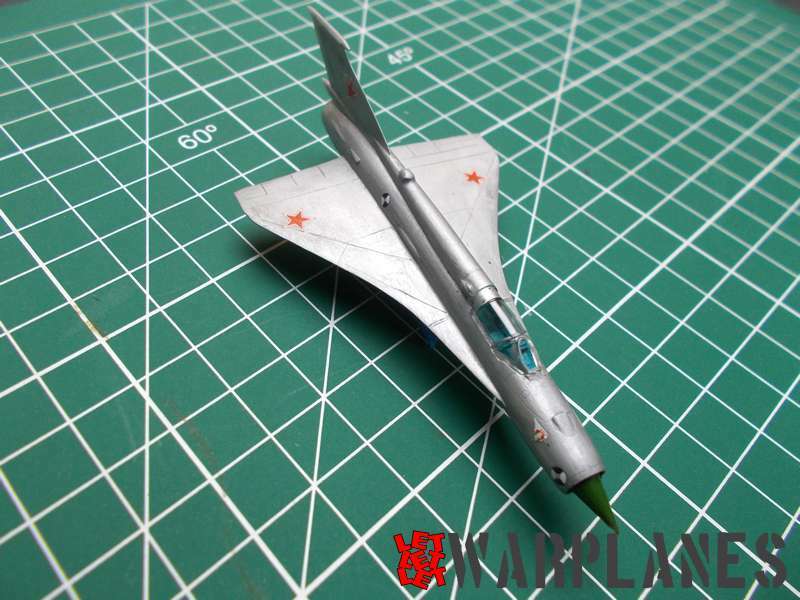 Basic MiG-21 was converted and most prominent difference was new wing. Sample machine used for that testing is still preserved at Monino, stand by Tu-144. 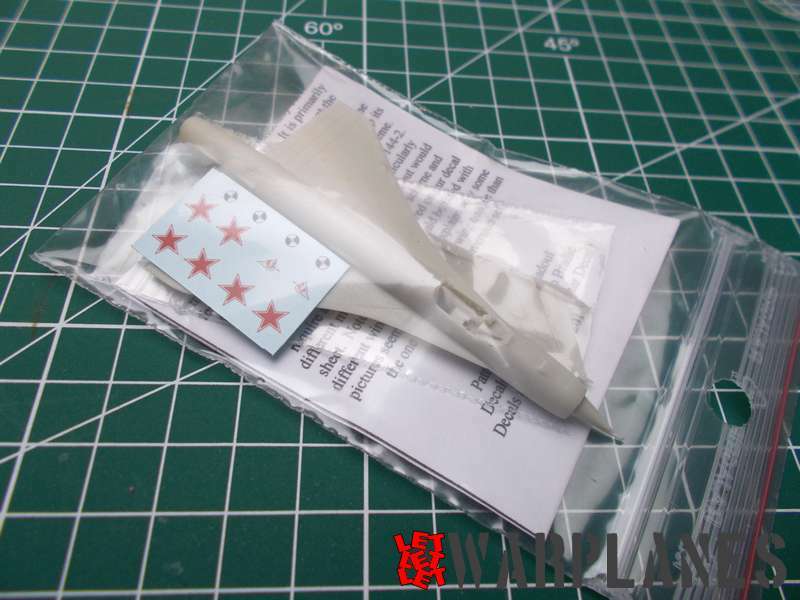 If we connect 1/144 scale and unusual subject, we get directly RetroKit from Belgium, who is specialized in such unusual subjects. This is really brave idea as well today we mostly seen so commercial projects. 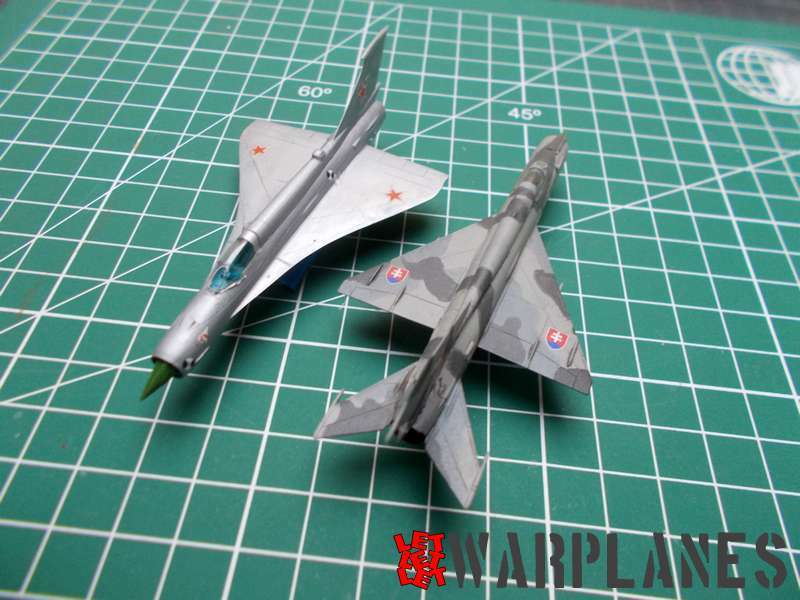 Basic idea is to adopt this kit as conversion of the Eduard kit of MiG-21 in 1/144 and this conversion is so easy, just take landing gear and cockpit canopy and put inside. 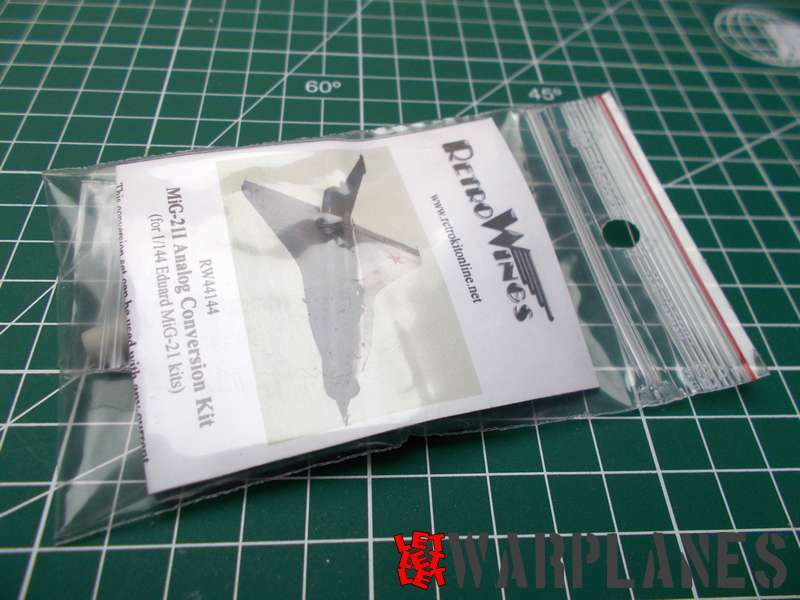 Kit come in small plastic bag, no box and content is so simple. Three resin parts, decals and small leaflet, just for information. 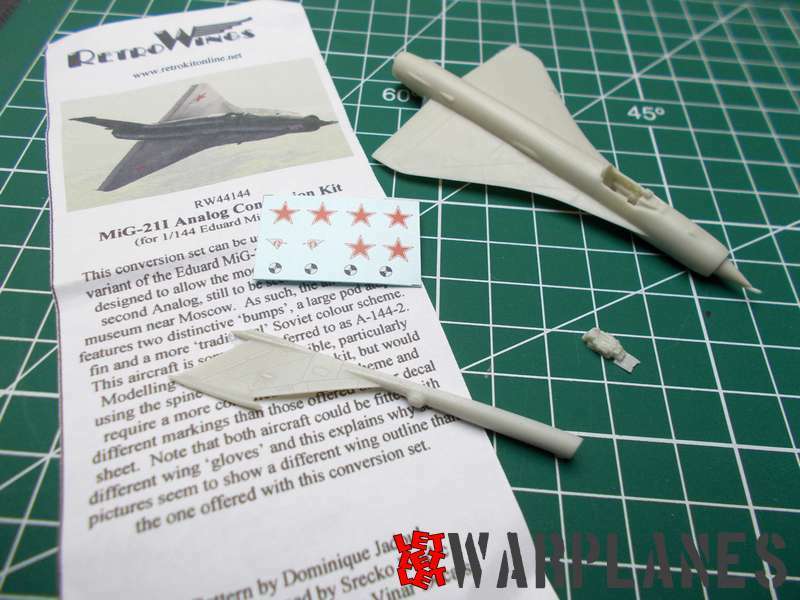 No detailed instruction so modeler is directed to do some little search on Internet and find out details like markings. 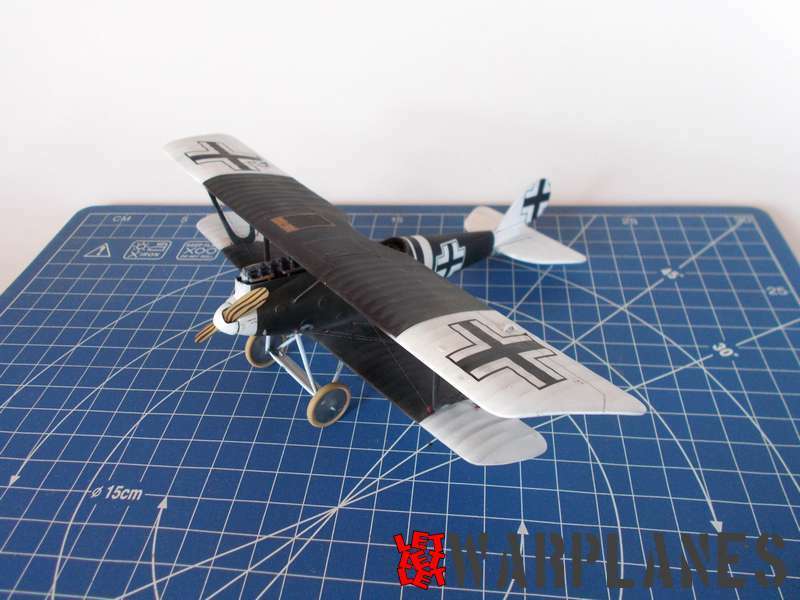 Parts inside are fuselage with wing (all in one piece), seat and vertical tail. This is small scale manual production so part features can differ, for example, on wing of my sample is very little hole, small air bubble captured in material. It is simple fill with filler and flat down. Other thing is that vertical tail was bent a bit, this can happen, nothing new and nothing strange. Solution is to ditch it in warm water, hold on few minutes and bent it and cool in proper shape. But your sample can be just perfect. All elements are joined, smoothed and painted with silver. This is primary and only coat of basic airframe on this sample. I paint radar cone in standard Soviet radome green. Seat goes in grey. After coat of gloss varnish, kit is ready for decals. 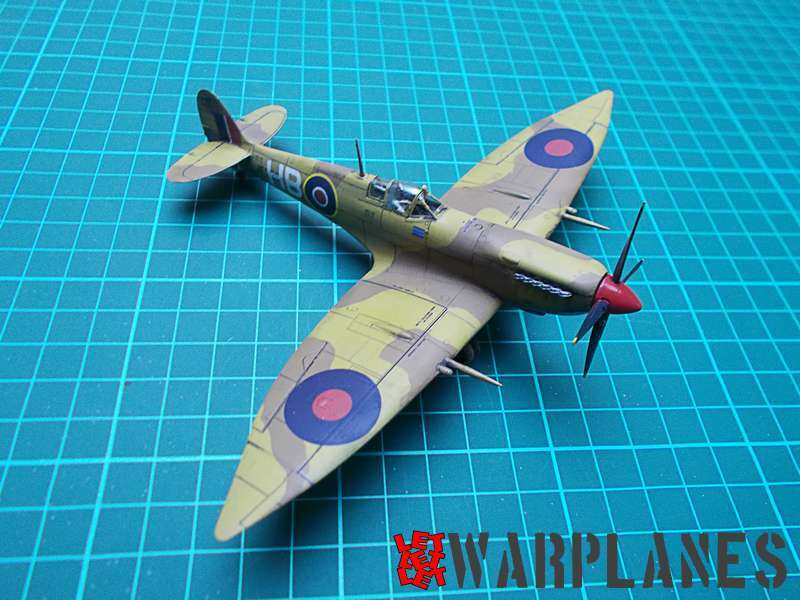 Decals is printed by APC from Czech Republic and quality of print is excellent. This is modern technology digital print and note that each decal is not on its own decal film but entire sheet is one film. So separate each marking you need. Markings are standard, Soviet red stars goes in six position, on four position goes reference markings and emblems goes on both side of nose. Decals finely adopt to surface contour. Final work is placing landing gear and cockpit canopy and this parts you have to take from spare kit. 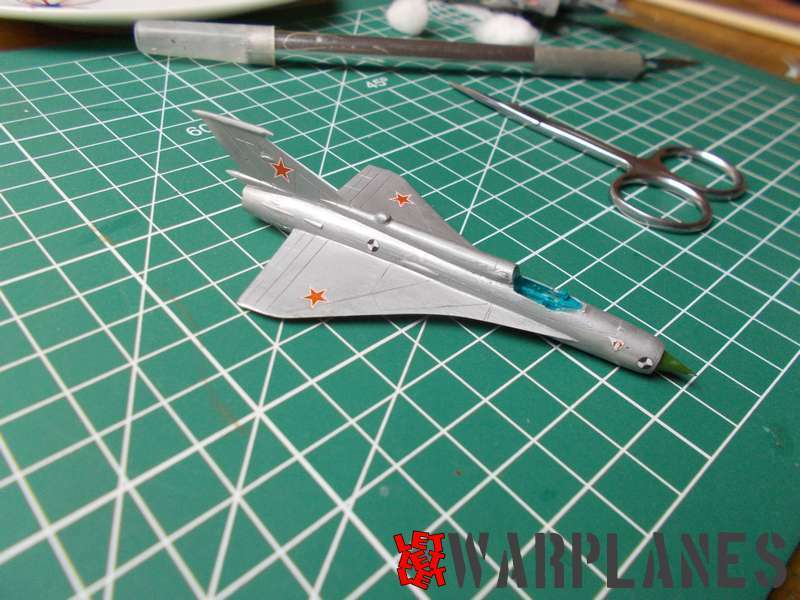 Overall look is so nice and I put nearby kit of MiG-21MF I did much before, just to get better impression. 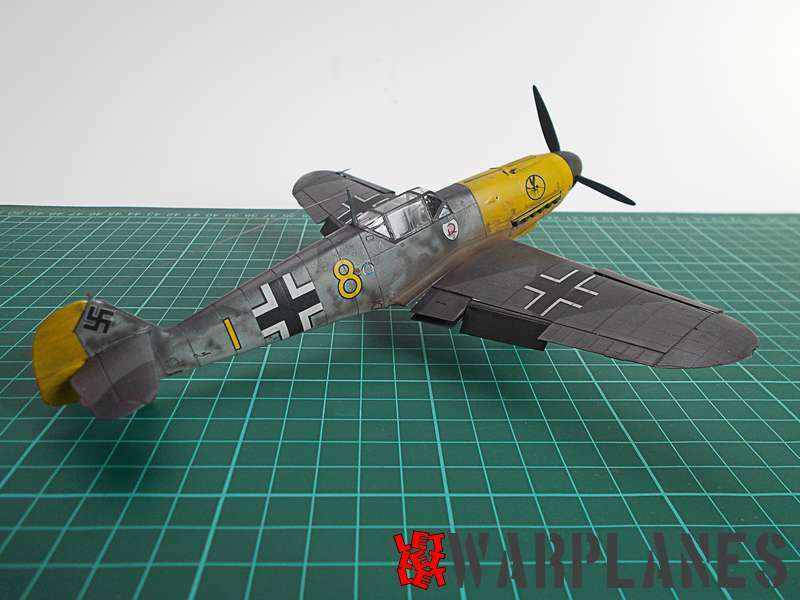 Kit is definitely easy to build, no special age limit, even total novice in modeling can make it, general look is realistic. My thanks goes to RetroKit for sample product and hope they will have some new attractive subject in close future. An interesting subject for sure. I’m a fan of the MiG-21 in general and this is a new topic for me. Good review too and nice build, thanks.